Pancho’s Villa is a gem of a luxury rental homes with a private guest casita in Palm Beach Estates. 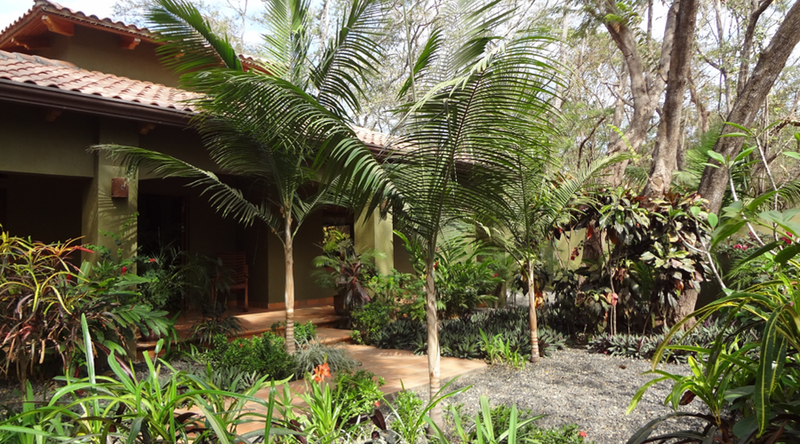 Steps away from the beautiful beach of Playa Grande, it is a private, tropical get away set in a lush and vibrant landscaping. Entering the home’s large and elegant entry, indulge in the lush local hardwood doors and cabinets throughout, accenting dramatic 12-foot ceilings and custom designed tile floors. Comfort continues through the home with high end linens and towels in the 2 bedrooms and 2 baths. A master suite with queen bed and master bath, along with the 2 full-bed guest room suits smaller parties well. Or if you are looking for additional space, you can opt for renting the casita onsite for another full bedroom/bath with kitchen. Once you have enjoyed your activities for the day, kick back inside at the granite working space, lounging at the TV, or hitting the game table. With plenty of room in the dining area, make sure to take advantage of the upscale kitchen—ideal for entertaining. Additionally, a laundry room with washer and dryer are conveniently located inside the house. 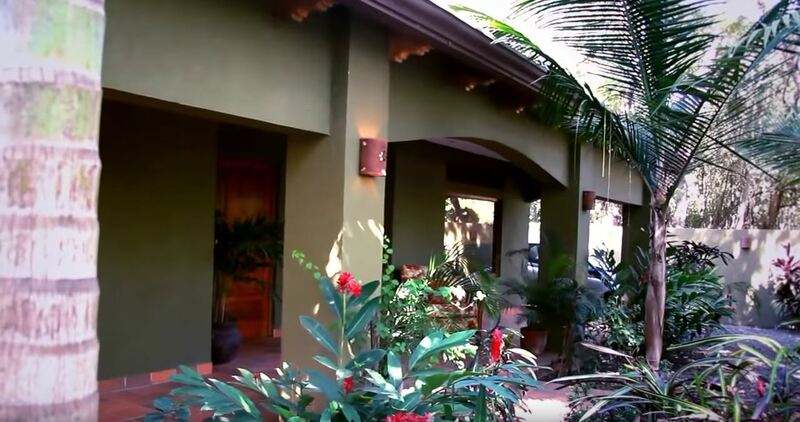 As relaxing and luxurious as the inside of Pancho’s Villa is, you might just be spending most of your time in it’s professionally landscaped backyard. With a covered patio, gas BBQ, dining space, and outside lounging area around the pool, this property couldn’t be more comfortable. It is a vacation dream.